*Toby Daniels, Founder of Social Media Week, introduces Social Media Week LA on Tuesday, 6/7/16. 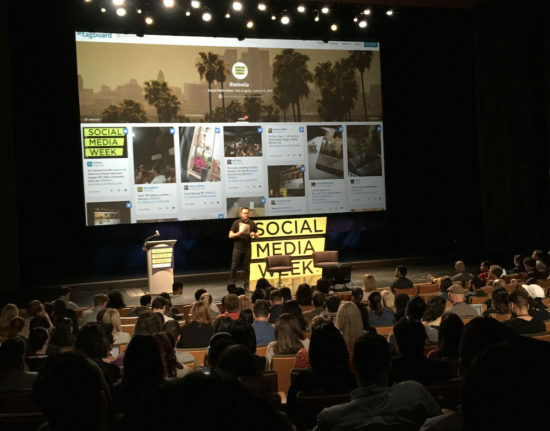 Social Media Week is a series of global events every year that focuses on all things social media with an emphasis on platforms, trends, emerging media, content, community, tech and more. Every year I look forward to the Los Angeles event. As a content strategist, it’s cool to head back to the office with key insight from the experts in the industry! This year, I sat in on the content-focused events for Instagram, VR and user-generated-content. The emerging media that kept coming up this year is VR. It seemed almost every panel had something to say about this immersive form of content. During the VR Keynote, the “godmother of virtual reality” Nonny de la Pena, described VR as the “duality of presence,” explaining that virtual reality in a sense, feels real. She gave a personal example of a VR experience where she was getting shot. It was so real to her that she jumped to dodge the bullets, and ended up busting her lip in her actually physical setting because she forgot where she was! Nonny uses VR to transport people to real events by creating what she calls virtual reconstructions in the hope to impact people by bringing them into someone else’s world for a few minutes. She gave a couple examples: being a passerby during a fatal abuse beating, being in the mindset of a prisoner at Guantanamo Bay. Nonny uses VR as immersive journalism to spread awareness about tough issues. However, there are certain constraints with VR that still have to be worked out: production costs and capabilities, inconvenience of today’s headsets, monetization, logistics of filming, mouth-to-ear delay, etc. VR is still in its early stages. Philip Rosedale, Co-Founder of High Fidelity Inc. and Founder of Second Life, reminds us of how we felt back in the early stages of the internet in the 1990s. We don’t even know the full capability of VR at this stage! Some predictions for future VR include: teaching, visiting key moments in history, virtual customer service, global gatherings and more. Len Kendall of Carrot Creative, says that VR will make us nicer just in the fact that people can’t hide behind their digital comments. By being face-to-face with other people through VR, we will naturally treat each other more nicely as though we were there together in real life. 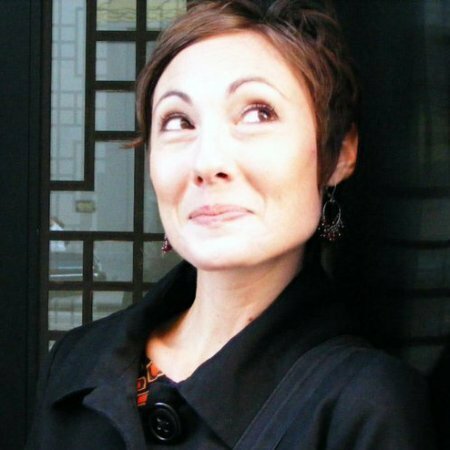 Ela Darling of CAM4V says that VR commands your attention. There are no distractions and you can focus on what’s in front of you. So naturally, by being our authentic selves, VR will impact us in ways that other forms of media cannot. Bing Chen, founder of Bing Studios LLC and Victorious Inc., describes Live video as the “most authentic part of yourself.” There’s a certain intimacy around it. There’s an ease in creating it. In fact, Live is more about the experience than the content. He referred to this hilarious Facebook Live video of a lady unboxing her birthday present to herself, a Chewbacca mask. Bing went on to say that they best uses of Live are real-time capture such as news and sporting events. He’s interested to see where it goes in the world of journalism. Design video for sound off. Establish connection early (w/in first 3-seconds). Jim said that “Brands stand out by fitting in,” meaning that people want a cohesive experience and brands should make content that fits in with the authentic content of Instagram. Instagram currently has 400-million users with 75% being outside of the US. 80-million photos and videos are shared each day. 60% people discover products on IG. 75% take action after being inspired by a post. 98% of ad campaigns have generated significant lift. Instagram is the #1 platform brands turn to to source UGC, followed by Facebook and then Twitter. In a study focused on CPG industry, where millennials chose their preferred photos between UGC and professional imagery, 84% chose UGC. In the travel space, 74% chose UGC over professional imagery. 68% of millennials said they prefer to see photos from actual customers over professional photos taken by the brand. 73% of millennials said they would un-follow a brand that posted images that looked too much like ads. 60% of digital marketers say that discovering good UGC content is a major hurdle for them. However, nine out of ten consumers are willing to part with their content because they care about your brand! Brands can set up submission portals and designated hashtags to acquire UGC.